Description 1976 - 1977? Includes negatives. 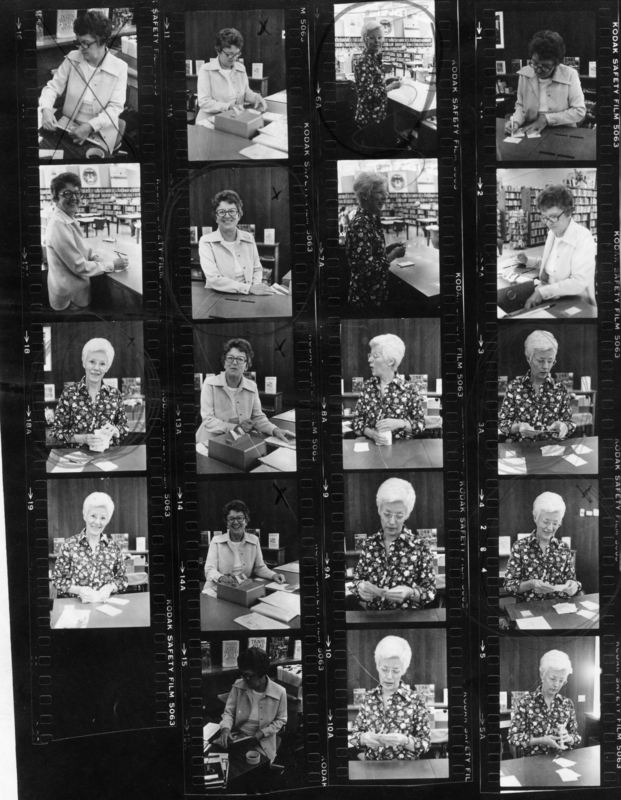 Left row, top: Carol Sleight, clerk; bottom: Virginia Gallagher, clerk. 2nd row: Carol Sleight. 3rd row: Virginia Gallagher. 4th row, top: Carol Sleight; bottom: Virginia Gallagher.